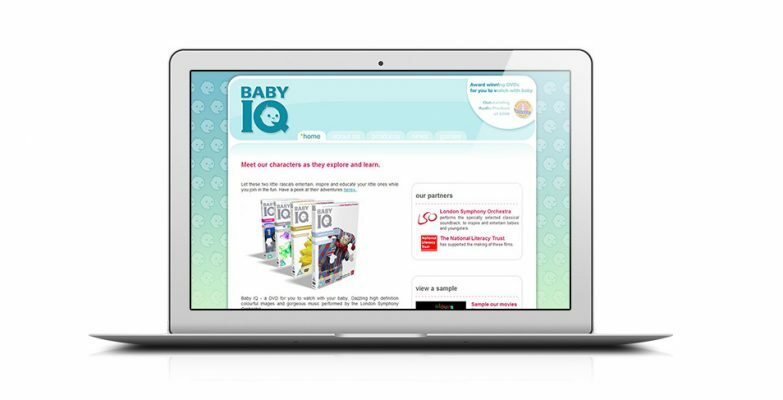 Baby IQ produce and distribute high quality infant DVDs incorporating music from the London Symphony Orchestra and supported by the National Literacy Trust. They approached Osis a while back for a homepage animation for their site. Our involvement grew over time as we provided a full multimedia service including: web site design, 3D modelling, packaging design and some simple Flash game production.